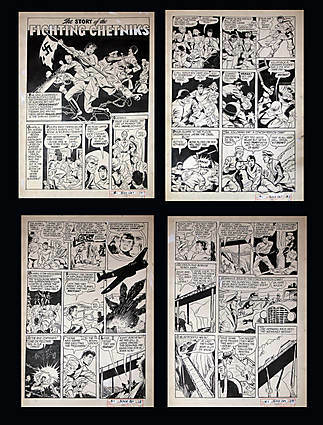 Many, MANY thanks to Comic Art Bibliographer Randall W. Scott of the Special Collections Division of 100 Library, Michigan State University in East Lansing, Michigan, 44824-1048 USA. Again, thanks to Carl Savich's detective work also! 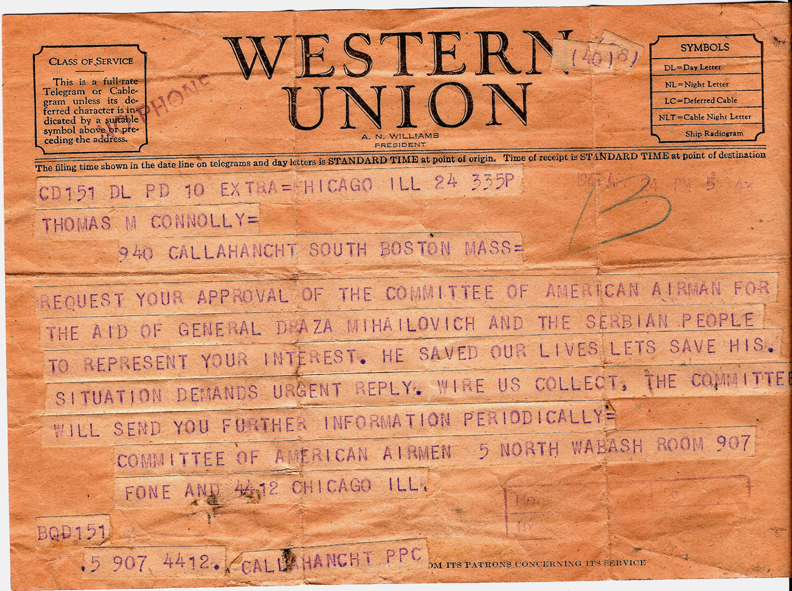 Carl just emailed and said how lucky we were to find this PRIMARY SOURCE document! He's right! John Buffalini wrote: "This is absolutely amazing. 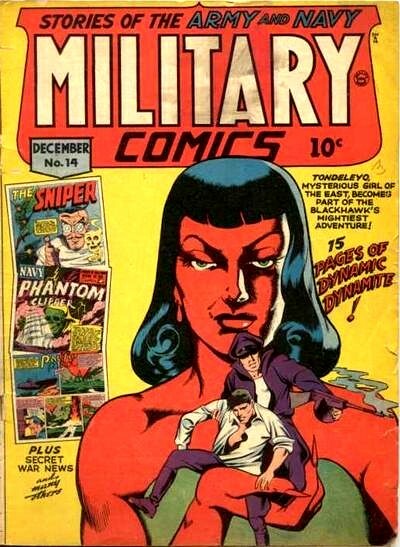 I would never have thought in a million years that there was a comic book about General Draza. Congratulations on yet another score on your wonderful and expansive project on preserving our Serbian history." Kathy Loverich added: "As the saying goes: 'Ask and you shall receive.' Once again you have managed to do the impossible! Thanks once again for sharing this delightful piece of our history!" 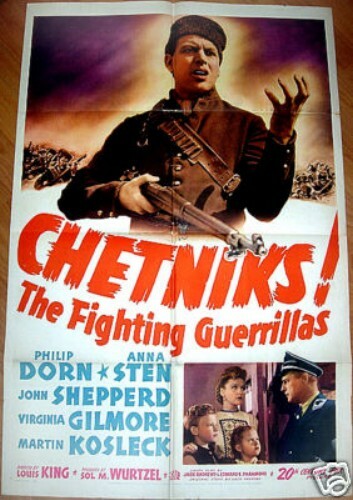 Above is the poster from the popular WWII movie. Read more about this on Wikipedia. Arthur Jibilian's (Jibby's) Story here! Read Aleksandar Milosevic's account of the rescue as commented in the Congressional Record, Washington, DC, Thursday, Nov. 19, 1987. Milosevic served as an artillery commander under General Mihailovich, who offered an eyewitness account as to the heroic efforts and sacrifices of the Serbian people who saved the lives of the downed airmen. The First Ravna Gora Corps organized the reception, lodging and food as well as the continuous protection required of the airmen. "The operation itself was a significant and major united military effort between the U.S. Air Forces and the entire Ravna Gora Movement under the command of General Draza Mihailovich. Specifically, it include the Western Morava Group of Corps which consisted of the First and Second Corps of Sumadia, the First and Second Corps of Ravna Gora, the Corps of Valjevo and Corps of Pozega. The strength of these corps numbered some 7,500 men. "At the end of August, there followed two smaller evacuations from Pranjani, then three more evacuations, also of a smaller scope, followed. One took place in the village of Svileuva not far from Kiceljeve around September 17th, and two in the region of Boljanici not far from Doboj [Bosnia]. The first occurred at the end of October, and the second on December 27, 1944." "All in all there were approximately 600 airmen evacuated of which over 500 were Americans while remainder were from other allied forces. It would take many more words if I were to begin to cite examples which would show with what love and sacrifice the Sebian people, through their Ravna Gora Movement headed by General Mihailovich, participated in these rescues." "I leave this to the rescued airmen with the deep belief that among them there is not one who does not have at least one souvenir of remembrance of that effect. I also leave it to these men to tell the American people how much truth there is in the spurious disinformation since emanating from the communist government of Yugoslavia. I would, however, like to emphasize, as commander of the Western Morava Groups of corps, that were to Germans to have attacked during the evacuation of August 10, 1944, our units, although poorly armed and low on ammunition, would have defended the American Fliers to the last man. and then passed on to me, his daughter, Milana M. Karlo Bizic. George Bozic was a former Monroe, Michigan auto worker, who settled in Phoenix, Arizona after retirement. He was a pioneer founder of the St. Nikola parish where he lived nearby. He carved remarkable likenesses of Serbian greats and his works were printed in the Observer pages. BENTON TOWNSHIP - The Lest We Forget events keep the stories of ordinary Americans' extraordinary heroism in World War II alive in Southwest Michigan. But throughout the war there were countless stories of heroism, bravery and sacrifice that were too often lost to the historical record. more than 500 downed American airmen in the hills of former Yugoslavia in the summer of 1944. The operation - and the bravery and generosity of the Serbian Chetnik peasants and resistance fighters who made the rescues possible - is recounted in a book titled "The Forgotten 500" by Gregory Freeman. Operation Halyard, including Arthur "Jibby" Jibilian, Bob Wilson and local resident Clare Musgrove of St. Joseph Township. Wilson, of Peoria, Ill., said he has never forgotten the "generosity and feeling of the Serbians" who took him in. willing to help," Wilson said. "They were a very poor people. They had very little food. But they were willing to help." communicate with underground Serbian operatives. "We were behind enemy lines," with Germans stationed just 20 miles away, Jibilian said. "We were afraid all the time." Musgrove and his comrades signed copies of Freeman's book Thursday at the Mendel Center. The event drew about 300-400 people. Musgrove talked about his story during a 2006 interview with The Herald-Palladium. On a bombing run targeting German supply stations, Musgrove, a ball turret gunner on a B-24 plane, took fire and had to bail. He landed in the wooded, mountainous terrain of an unfamiliar land. speak their language. Fortunately, they were friendly people." countryside to a newly built airstrip, where other American airmen were waiting for flights on American C-47 planes. Freeman said the story of "The Forgotten 500" is not a story about nations and politics, but "individual human beings helping one another, willing to sacrifice themselves for those who would sacrifice for them." could not publicly acknowledge the heroism of their resistance leader, General Draza Mihailovich. Shortly after taking over, the communist regime had the general tortured and executed by firing squad. Mihailovich' s grave never has been found, but in the hills of the Chetniks' homeland "his spirit is everywhere," President Harry Truman said. Truman in 1948 awarded Mihailovich a posthumous Legion of Merit award, the highest award bestowed on a non-American. at the famed "Forgotten 500" airstrip. The site will soon have a new addition - an American C-47. 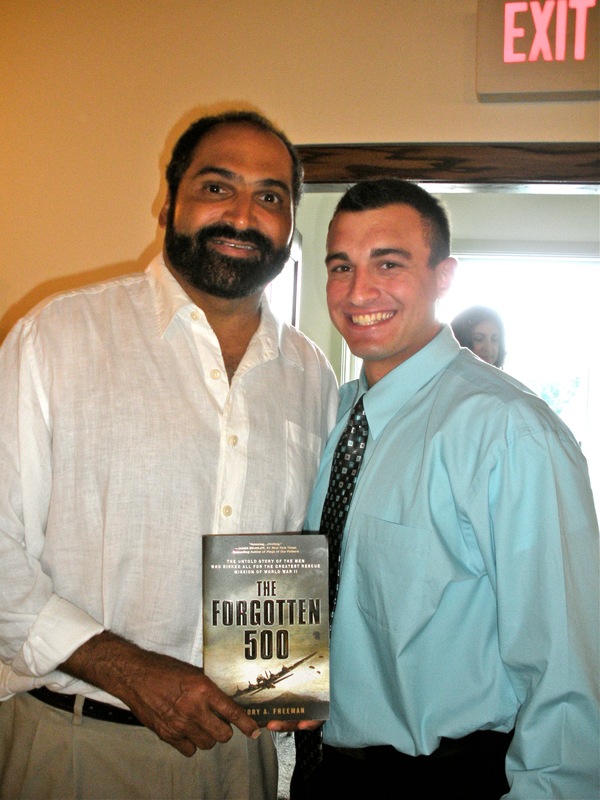 Super Bowl Champion Pittsburgh Steeler Legendary Great Running Back #32 Franco Harris holds THE FORGOTTEN 500 book young Nick Jovanovich received as part of a graduation gift from Mim Bizic at a fabulous party hosted by Nick's parents, Nick and Nena Jovanovich in Sewickley, PA.
Franco knew the story of the rescued airmen. But Mim failed to tell him about another Pittsburgh STEELER connection! George Musulin, the OSS officer in charge of the OPERATION HALYARD mission, ALSO played for Art Rooney's Pittsburgh Steelers, only then it was called the Pittsburgh Pirates Football Team, just like the Pirates Baseball Team. 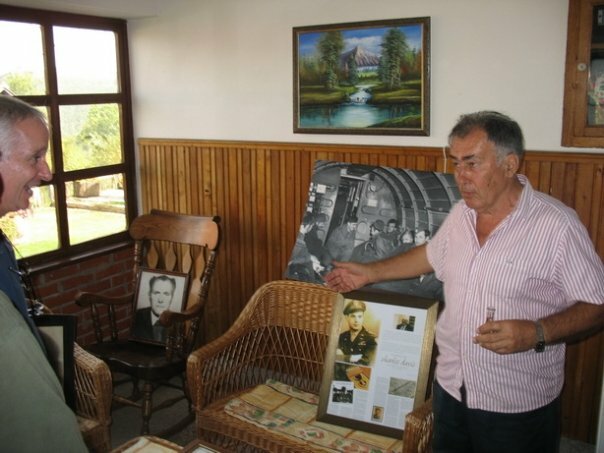 At night, the downed airmen and their Serbian Chetnik hosts would sit around campfires and tell true-life stories. George Musulin always told the guys how he played on the Pittsburgh football team for two years. Each game the players received $25 and they had to bring their own helmets. If the team WON the game, Rooney awarded them with $35 instead! Thanks Franco and Nick!! Great time tonight! 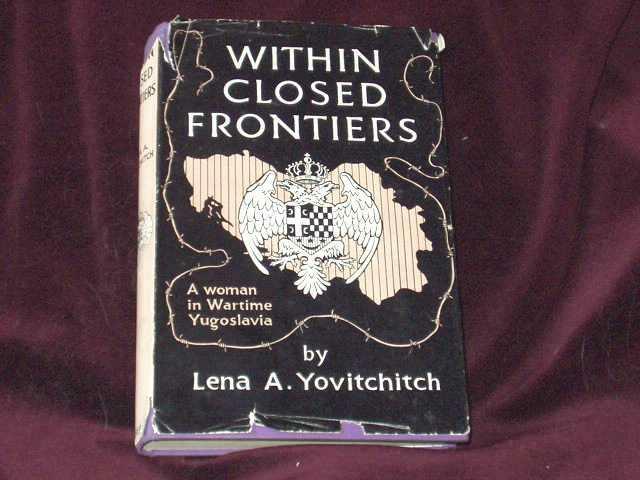 Within Closed Frontiers: A Woman in Wartime Yugoslavia by Lena Yovitchitch from 1956 which is a good objective account of Draza and the Chetniks. The INTRODUCTION to this book was given by Honorable Fiorella H. LaGuardia, Mayor of New York! For years and years I heard about several people who at one time owned a comic book about Draza Mihailovich as kids, but then, just couldn't find them again. I always asked and had several people inquire of me if there really WAS a Draza comic book. The breakthrough came today (6/15/09) when Carl Savich said that he knew the date of the book, and the issue No. 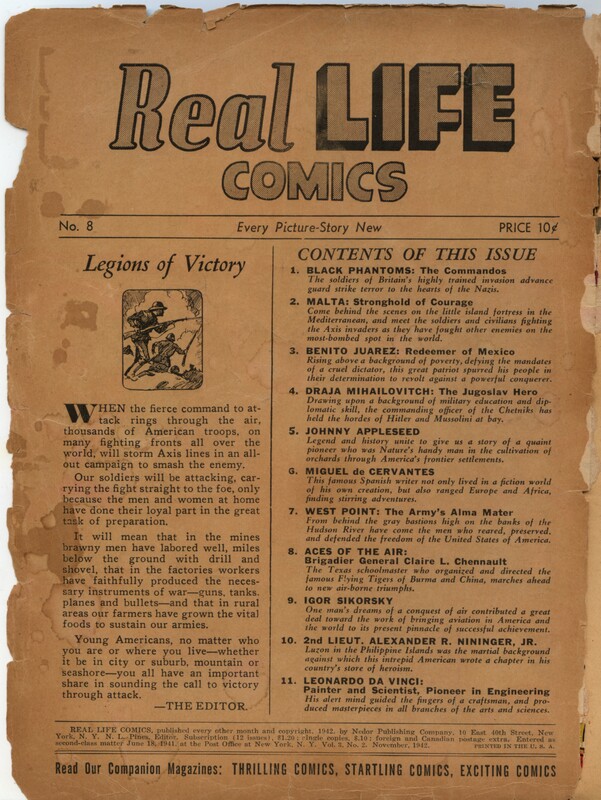 8, Real Life Comics, Nov. 1942. Using that info, I scoured the web and finally struck gold at the University of Michigan. Thanks to the efforts of librarian/ comic book bibliographer Randy Scott, ALL of us can see how Draza Mihailovich was revered and placed with Chennault, Sikorsky, Juarez, Leonardo de Vinci, and Cervantes. I'd say pretty good company. Draza's (Spelled Draja in the comic book) story continues for 7 pages. The cover and the first page are on the left hand side. Due to memory restrictions, I'm placing the others here in a smaller format, but all you have to do is click on the lower right hand corner to enlarge and view better. Over 500 U.S. airmen (and over 600 if you add in the Allied Airmen!) 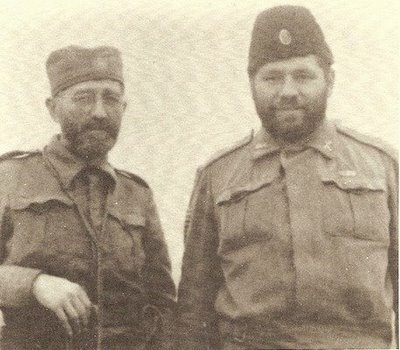 were evacuated from Serbia thanks to General Draza Mihailovich and his Royal Yugoslav Army of the Homeland Chetniks, the OSS (Office of Strategic Services) and the villagers from surrounding areas. Many of the daring rescues took place near Pranjani. Here is some information on the comic book to explain the context. The publisher and editor of Real Life Comics, Ned L. Pines, was a major publisher of comic books. 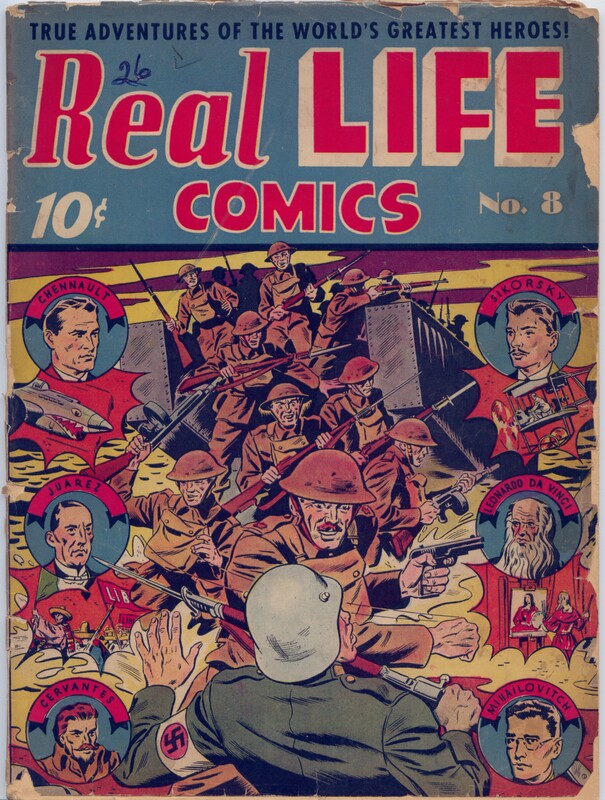 Real Life Comics was published by Nedor Publishing at 10 East 40th Street in New York City. 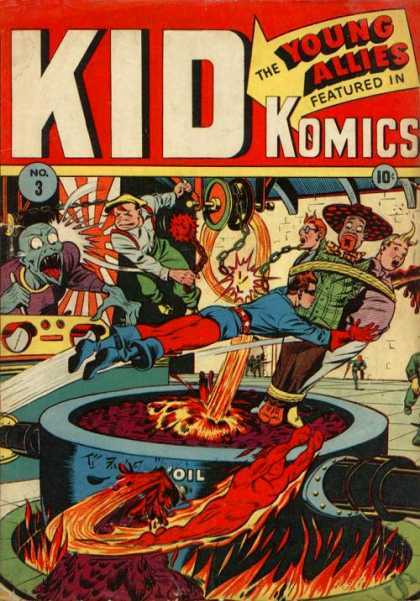 It was a comic book series that ran from September, 1941 to September, 1952 for 59 issues. 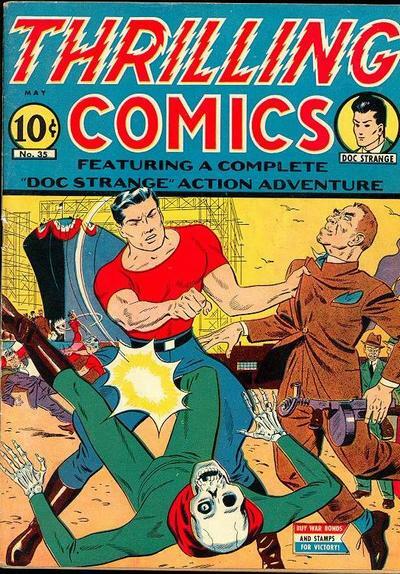 The editor and publisher was Ned L. Pines, who also published Thrilling Comics, Startling Comics, and Exciting Comics. 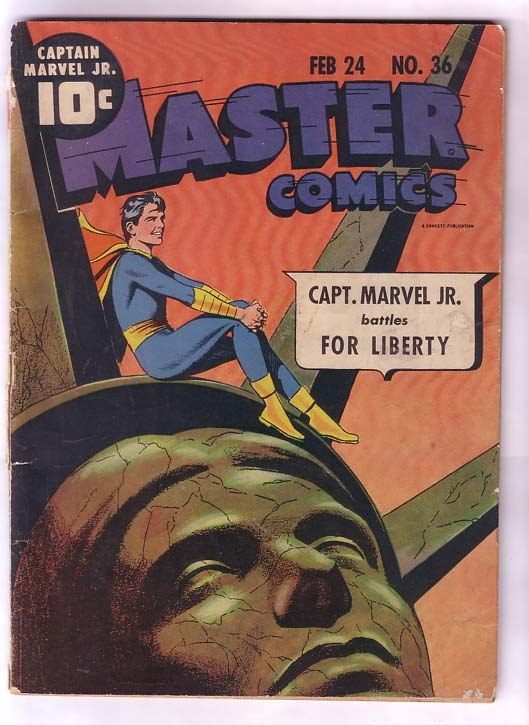 The comic book was published every other month and cost ten cents. The comic book featured real persons such as Leonardo Da Vinci, Igor Sikorsky, Claire Chennault, and Draza Mihailovich. 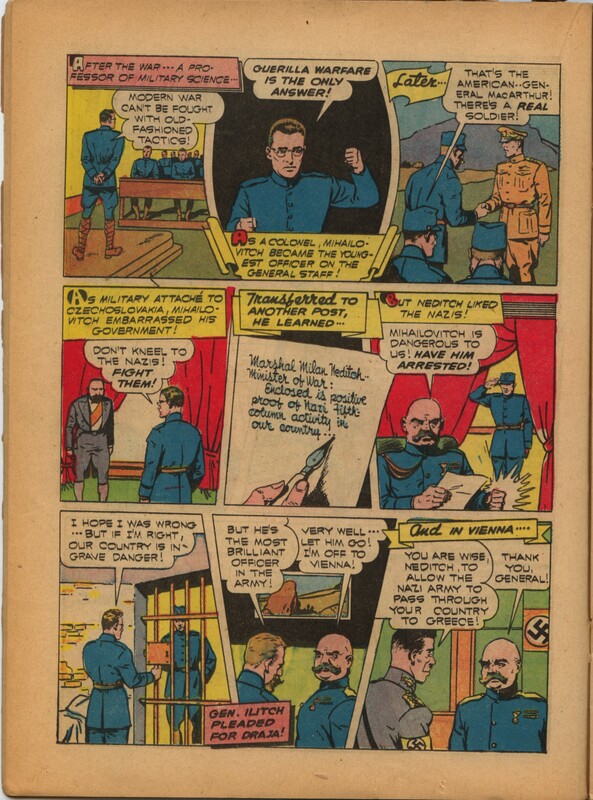 Draza Mihailovich was featured in one issue of the comic book, No.8 from November, 1942, Volume 3, No. 2., consisting of 7 pages. Mihailovich was also on the cover. 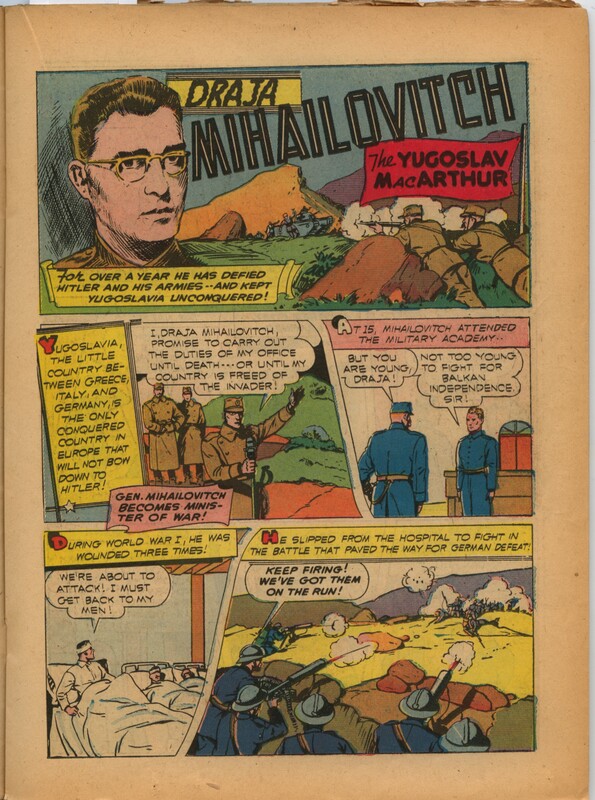 Mihailovich was in section 4 entitled "Draja Mihailovitch: Jugoslav Hero." 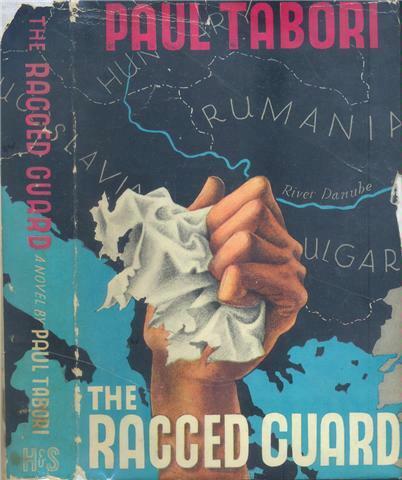 The title of the story was "Draja Mihailovitch, the Yugoslav MacArthur", comparing him to U.S. General Douglas MacArthur. 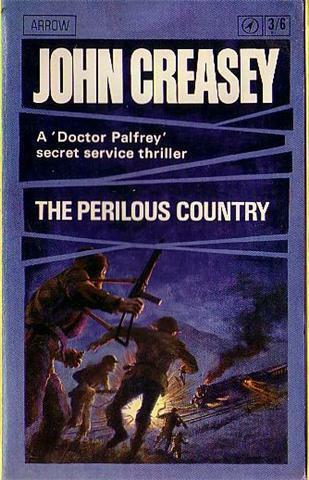 The story is introduced as follows: "Drawing upon a background of military education and diplomatic skill, the commanding officer of the Chetniks has held the hordes of Hitler and Mussolini at bay." The issue also contained comics featuring Miguel Cervantes, Leonardo Da Vinci, Johnny Appleseed, Claire Chennault, and Benito Juarez. 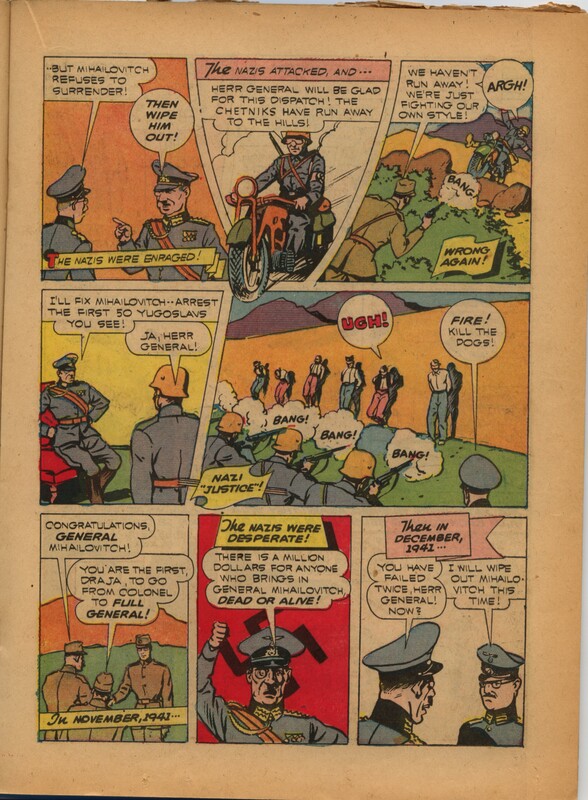 The comic recounted Draza Mihailovich's service in World War I, his diplomatic assignment in Czechoslovakia in the 1930s, his imprisonment by Milan Nedich, and his emergence as a resistance leader in 1941. 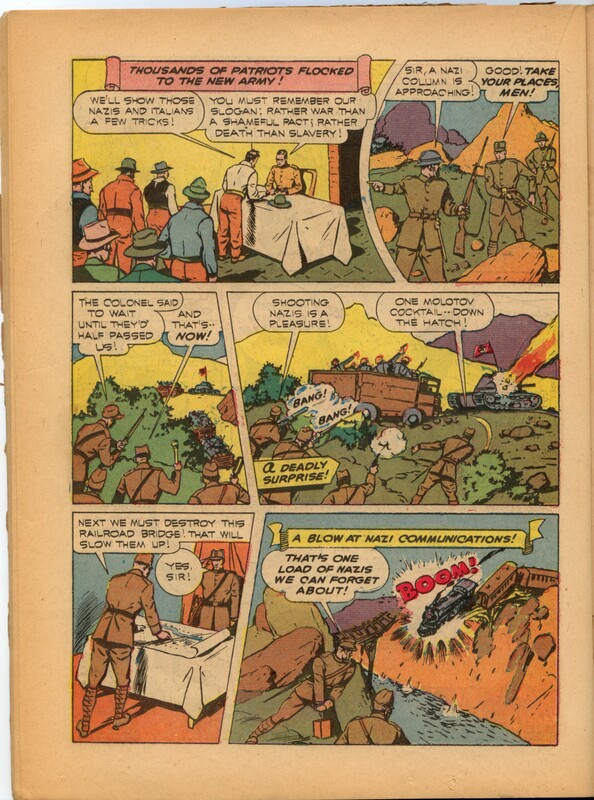 The comic focuses on his guerrilla activities against the German occupation forces, derailing trains, engaging in sabotage, and organizing a massive popular resistance movement. Draza Mihailovich was also featured on the cover of Time magazine in 1942, the cover of Liberty magazine in an article entitled "Hitler's No.1 Headache", and a major motion picture was made by 20th Century Fox entitled Chetniks! The Fighting Guerrillas. Draza Mihailovich was one of the most popular and acclaimed European resistance leaders in America in 1942. The Table of Contents page is attached. This page gives a blurb on Draza as a "Jugoslav Hero" and more info on him. "Minute Man Meets the Mummy"
Jan Valor was a heroic American fighter pilot who with his girlfriend Tanka helped General Draza Mihailovich and the Chetniks of "Jugoslavia" to fight against the German forces. Jan is the pilot of the Red Hawk, a fighter plane, and allows the guerrillas to use it. Timely Comics would evolve into Marvel Comics. 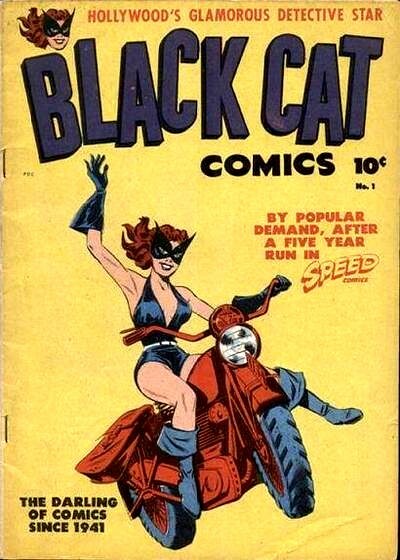 4) Black Cat, #1, March 7, 1945, "The Story of the Fighting Chetniks", Harvey Publishing. 5. 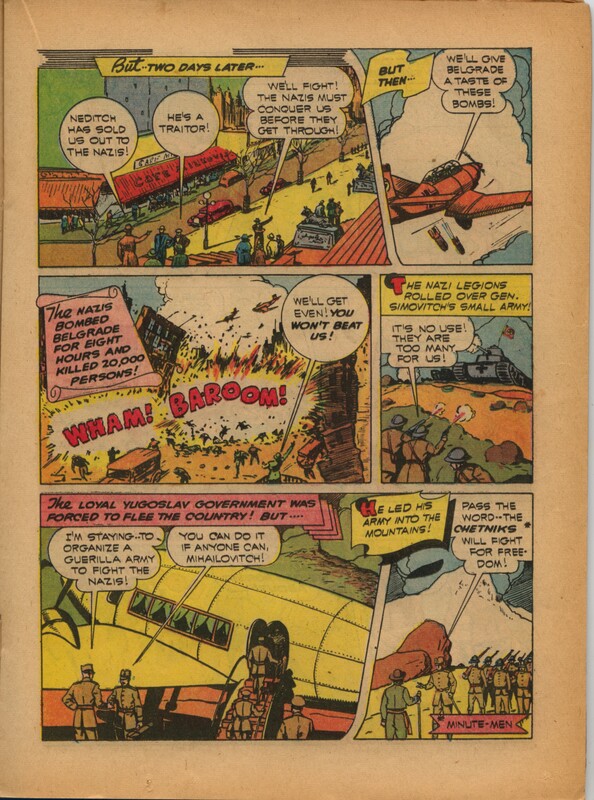 Military Comics. Stories of the Army and Navy, #14, Dec. 1942. Quality Comics. Contents: 3. 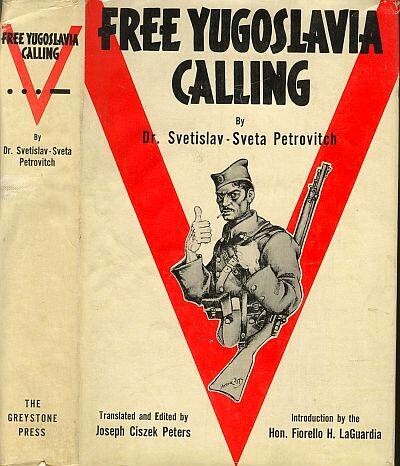 Mission to Yugoslavia. 8. The Chumps and the Chetniks, Shot and Shell, by Klaus Nordling, script, pencils, inks. 6. 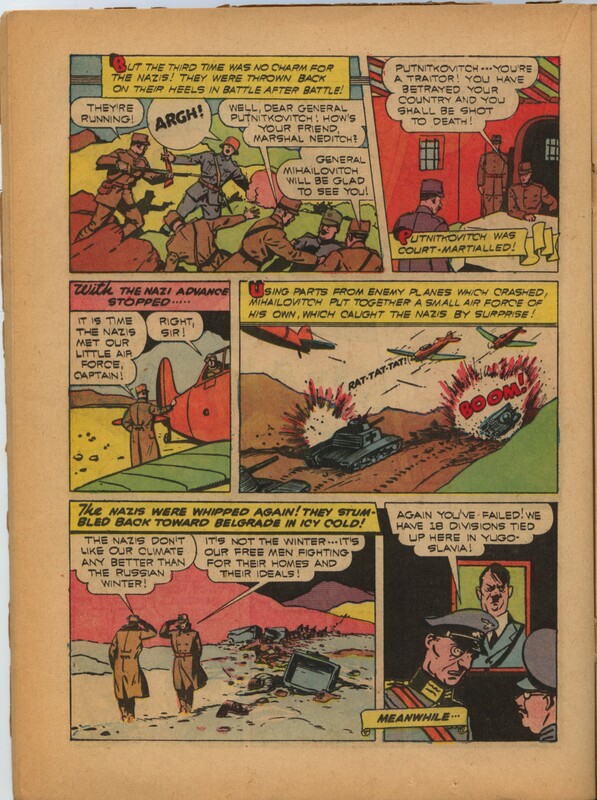 Thrilling Comics, #35, May, 1943, Standard Comics. 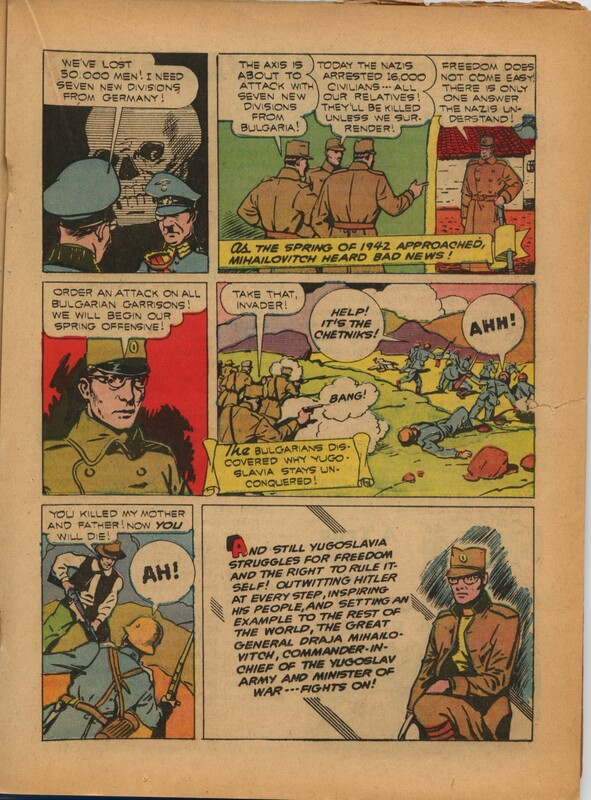 Thank you again to Carl Savich for such wonderful detective work in searching out these Comic Books with stories about Draza Mihailovich and his Chetniks! 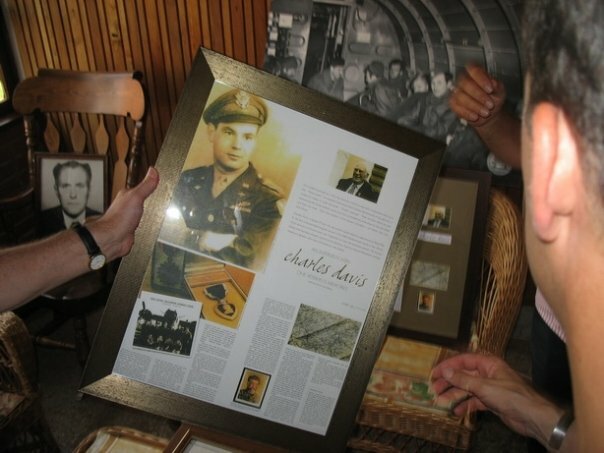 Photo of Charlie Davis who stayed at this man's house in Pranjani as one of the downed airmen in 1944. Click bottom right hand corner to enlarge photos. Another movie poster, this one from Australia! Again, all of these photos of the posters and book covers are thanks to the intense research by Carl Savich. "Once you get on the page, look at the bottom which will have small boxes. The 9th box across has the 2-page spread on the movie. It is on pages 16-17. You can't miss it on the bottom. It is all in BLUE. "It is a pretty cool ad emphasizing the fact that the movie was a huge hit all across America! In some movie theaters, it even beat out Casablanca, which was playing at the same time. The movie was a major box office hit and that is what the 20th Century-Fox ad emphasizes. They emphasize that the movie was a huge hit in Washington, Denver, Pittsburgh, and Elmira.